Komatsu Australia and Skycatch Inc. are partnering to boost the efficiency of construction, mining and quarry sites across Oceana with the High Precision Package. 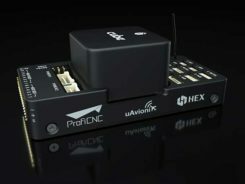 The Everyday Drone contains the Explore1 high-precision UAV, the Edge1 integrated GNSS base station and edge compute module, and the Viewer, an online data visualization and analysis tool, packaged into a commercial-grade kit. 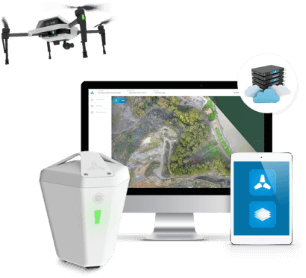 The Everyday Drone allows a user to experience time to data without needing ground control points (GCP), and the ability to seamlessly integrate precision aerial data into their Smart Construction Workflow. In common construction workflows, the time to data using traditional surveying methods could take weeks until project stakeholders can view or analyze their job site data. With the Edge1, customers are able to leverage a seamless GCP free workflow that consistently delivers sub 50-mm accurate data, in arbitrary or local coordinate systems within 30 minutes, saving countless hours and labor costs. Customers tested the receptiveness of the Everyday Drone Solution, said James Mackenzie, national remote support manager at Komatsu Australia. They first tested in civil construction, and then quickly expanded into quarry sites. Mackenzie was able to survey six quarries in five days for different customers, post-processed in the cloud, receiving the data back the next day. He also noted that customers appreciated the fast turn-around time, the ease of use, and the ruggedness of the products. 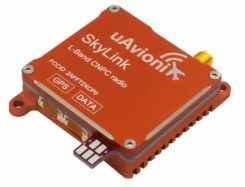 “Skycatch’s ability to provide near real-time data throughout the entire project is vital, and being able to deliver that to the customer, supervisor and give project teams the ability to make decisions throughout the project easily with usable, accurate data is key to the success of the project as a whole, not just in siloed environments is priceless,” Marsh said.